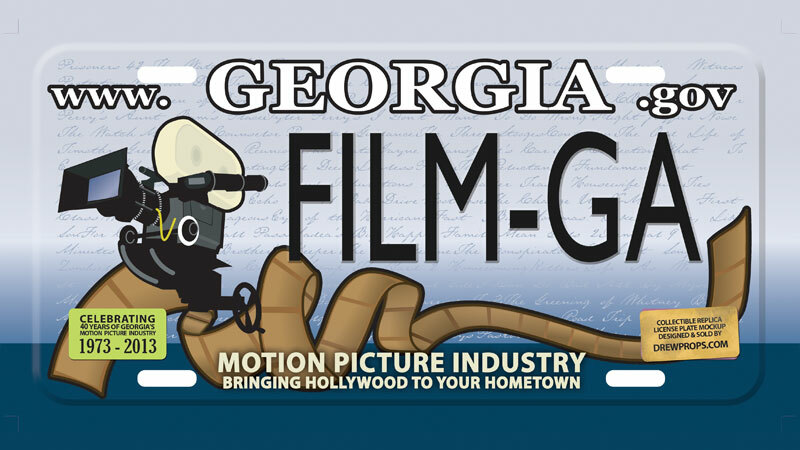 Yesterday I shipped the first two examples of a BRAND NEW edition of my Film Georgia license plate design for 2013 and would like to thank those customers for their interest and for their patience. I say “patience” because a lot of people have (apparently) been trying to track down where to buy my tags, with no great success. 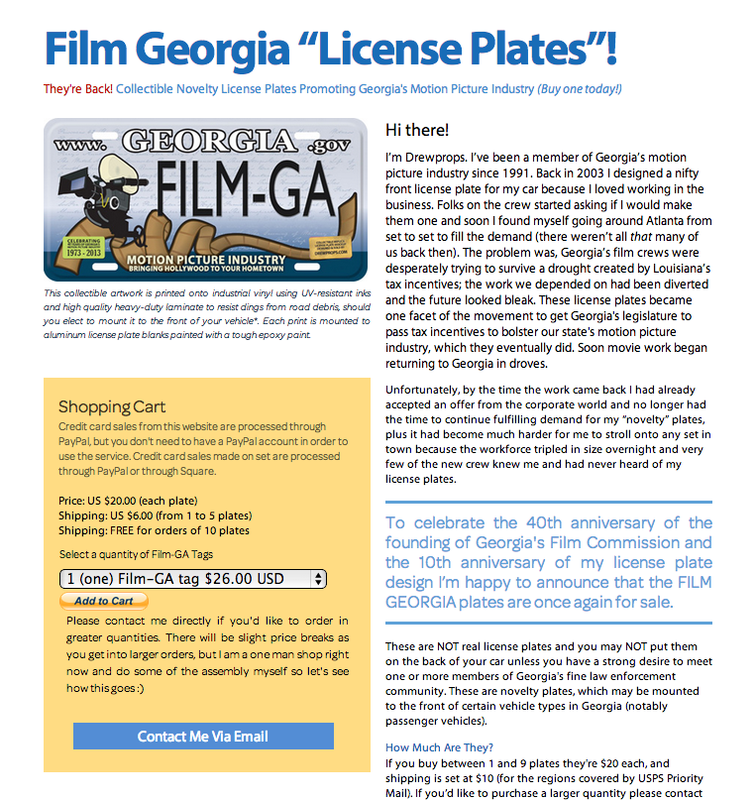 It’s been a number of years since I actively pursued sales of the license plates, in large part due to the influx of crew who were new to Georgia or new to the business. Thanks to our legislature’s very successful tax incentive program there are now so many new people working in the Atlanta area that it was impossible for me to walk onto any old set and know most of the crew (like in the old days). Last year I noticed a laughably bad counterfeit of my tag on the front of a catering van on the back lot of a local television series, and when the carpenters on the show “Last Vegas” found out that I was in fact “the license plate guy” I sold out of the remaining stock I had leftover from 2011. If you’re part of the working crew on set or in the production office and I *know* you and am comfortable that there’s no issue with me dropping by to see you then drop me a line. 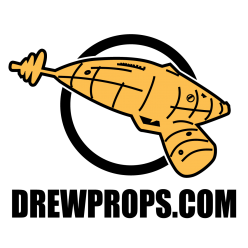 For everyone else please order from the website (you’ll be asked to pay via PayPal) and I will ship your tags via USPS Priority Mail. When I’m on set I can generally accept credit cards using a PayPal card reader. Previous Previous post: Not Quite Dead Yet!